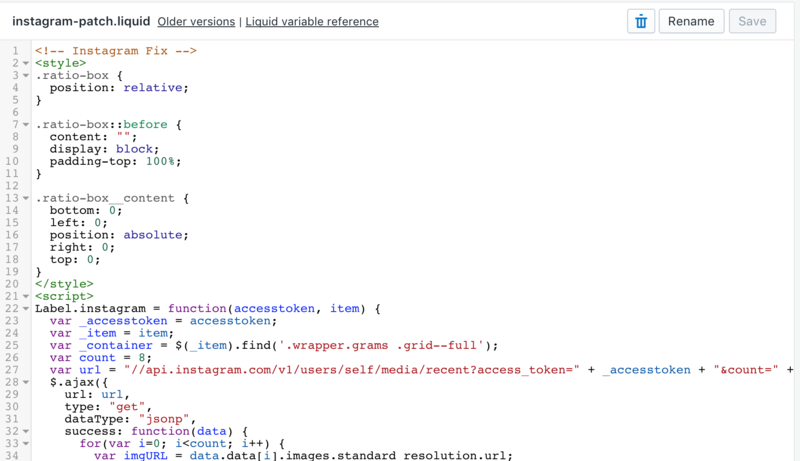 Instagram have recently changed their API, unfortunately resulting in Instagram no longer working for the Label theme. The theme has been updated on Shopify, however those who want to fix it manually or have customized their theme and don't want to upgrade should follow the steps below to fix the issue. 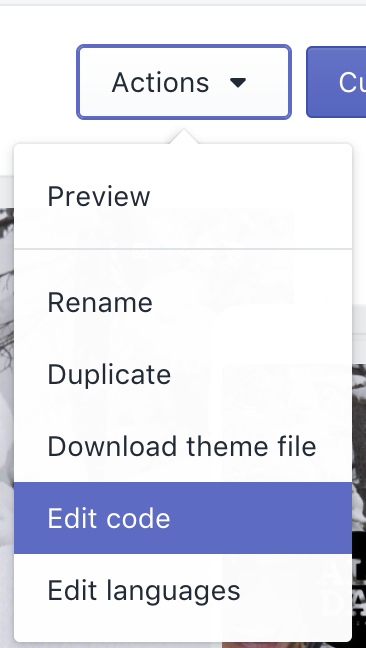 From your theme editor, go to the "edit code" screen of your theme. 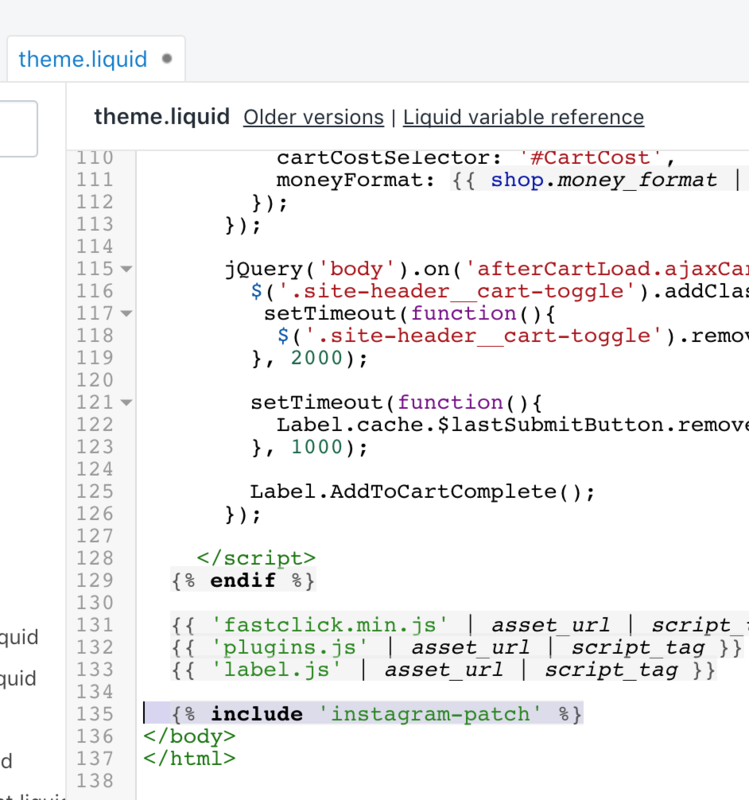 Create a new snippet and name it "instagram-patch". In this snippet, paste in this code from Github then click save. 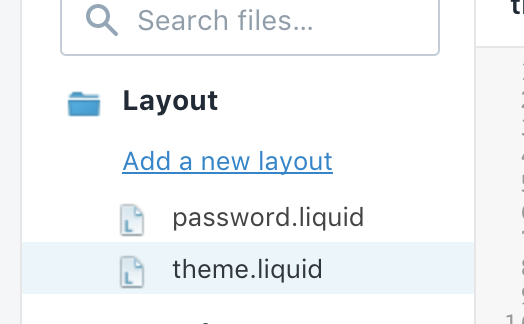 Next, under "Layout" open the theme.liquid file. Save that page and your Instagram images should appear. If you are still having difficulties - please contact support.